Weed pot* vase made of Yew wood, 8-1/2" high, 3" wide. Yew is most often known as a landscape shrub, planted along foundations. But it can grow to be a small tree, and as such it produces a really attractive wood that is one of my favorites. I've turned many items from it, such as vases, lamps, and bowls. It's simply a great wood. There are a few small pin knots in this vase, and a collar ring at the base of the neck. Item # Y166. 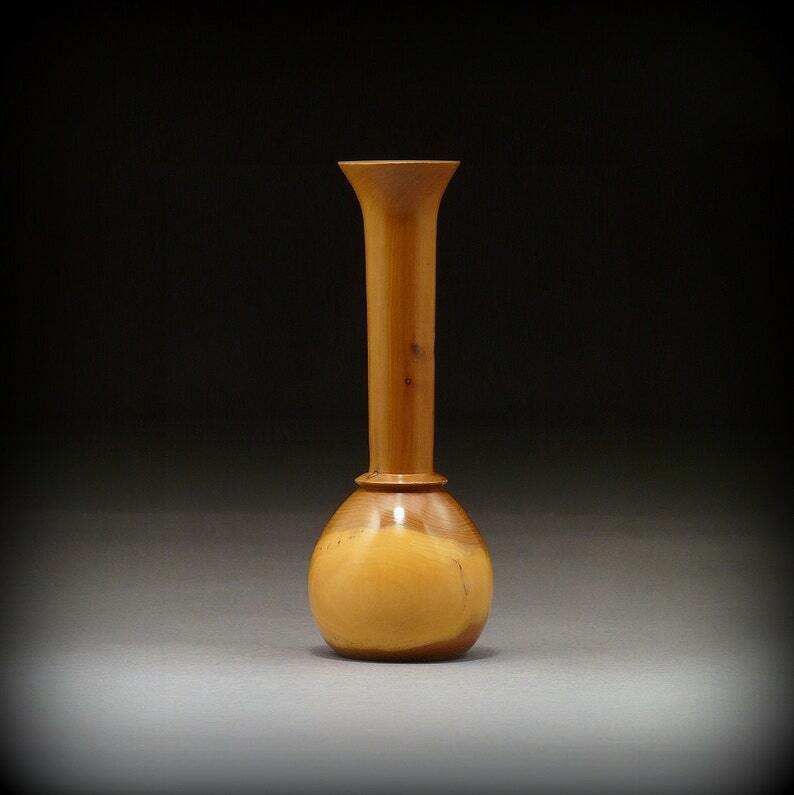 Yew Wood Vase. * A weed pot is a vase intended to hold dried weeds, flowers, grasses, seed heads, etc, that you can find in any field, forest edge, or roadside, particularly in the fall. It is not to be filled with water.